Will and Brian with a hand made masterpiece ready for the oven. This afternoon Sher and I went to the Railroad Days Festival in Granite Falls, Washington. This festival is a yearly tradition in the town, and in addition to a fair style midway with rides and games one of the streets was filled with different vendors selling all kinds of wares. One of the food concessions was a nifty pizza caterer. 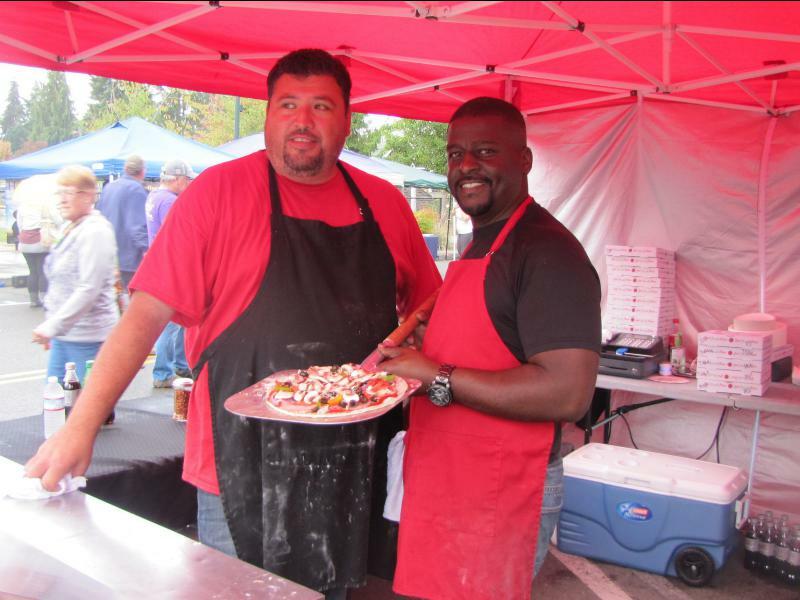 The name of the vendor was Heavenly Fire Kitchens, based out of Marysville. I spoke with Will, Brian, Sophi and Devin in the booth. Brian told me that they started the business in May of this year. The set up is really impressive, as there is a real wood fired pizza oven mounted on a trailer. 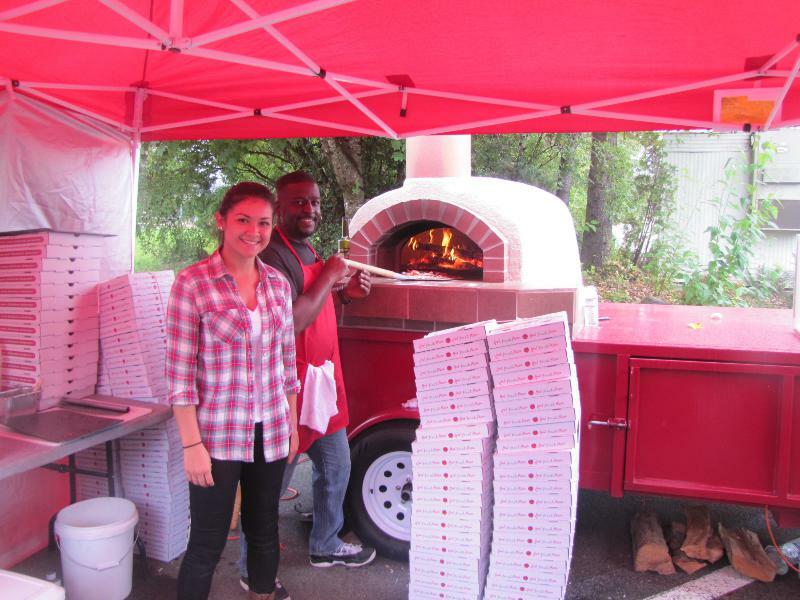 The pizzas are hand made on the spot and baked right before your eyes. Sophi and Brian in front of the oven. Look at all those boxes ready to be filled! Sher and I shared one of their cheese pizzas. The ones they were selling today were thin crust and hot out of the oven. The wait after order was not really a problem, as there were plenty of other booths to look at while we waited the 10 or so minutes. Check the Heavenly Fire Kitchen website for their next event. Or better yet, have them cater your own private party.